This past weekend we had a MadModQuiltGuild sew day at Bungalow Quilting & Yarn in Ripon, WI. This is such an awesome quilt shop. It's not a huge place, but it is chock full of awesome modern fabrics and patterns. I feel like a 5 year old in a candy shop every time I walk in there. It's almost a bit overwhelming, but in a really good way! 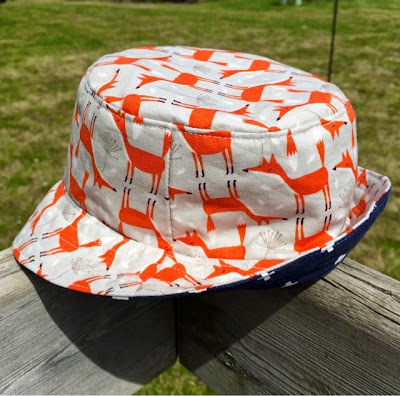 While I was there, I noticed some really cute Bucket Hat samples that were made up in great fabrics. I decided that I had to make a couple for myself and the tiny human for our days out strolling this summer. They're not perfect, but hey - first try, right? They're still pretty rad. Also, they're reversible. 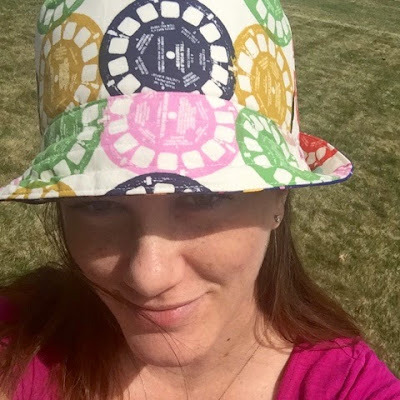 Both of the hats were made from free online patterns. The adult size pattern is by Kitsch Bitsch, and you can get it from their website after submitting your email address. The kid size pattern is from Oliver + S: no email required. 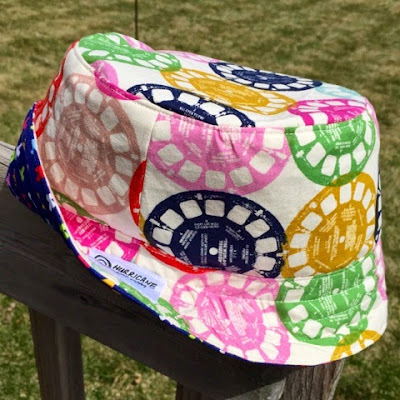 I used Pellon's 911FF Fusible Featherweight non-woven interfacing on both layers of fabric (quilting cotton) for my hats, although the patterns didn't call for this. I like how they turned out. The interfacing helps them hold their shape, but they are still soft, comfy, and able to be manipulated. Moms are supposed to look a little silly sometimes, right? The weather is already beautiful here in Wisconsin. We got lucky with an early spring this year. 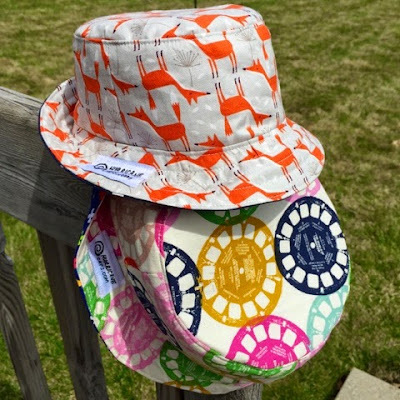 I can't wait to get the boy out in his hat and stroller - hopefully by the end of May if he arrives in a timely fashion.